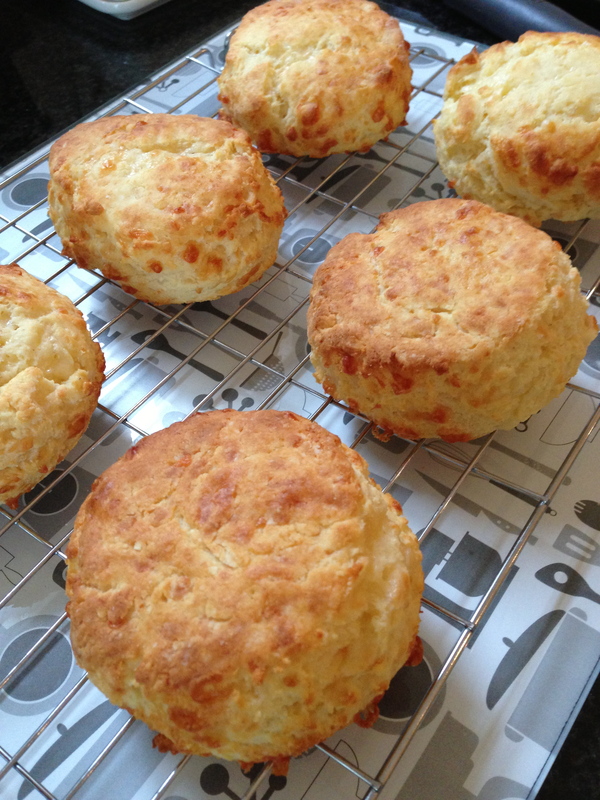 This is a tried and tested simple cheese scone recipe, tastes and looks a good as regular gluten Scones. Pre heat oven to a hot 220c. 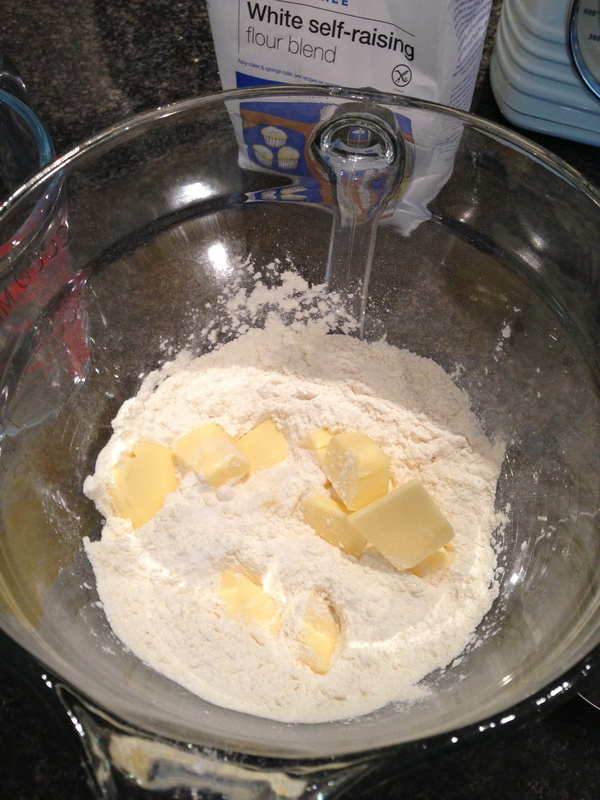 Put flour, baking powder and baking fix in a bowl add cubed butter. 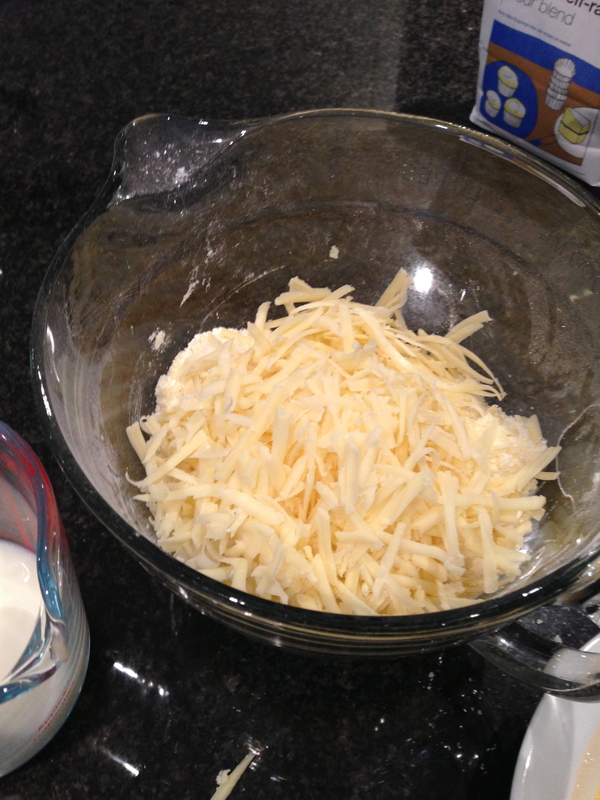 add grated cheese , egg and milk. Mix together with a knife. 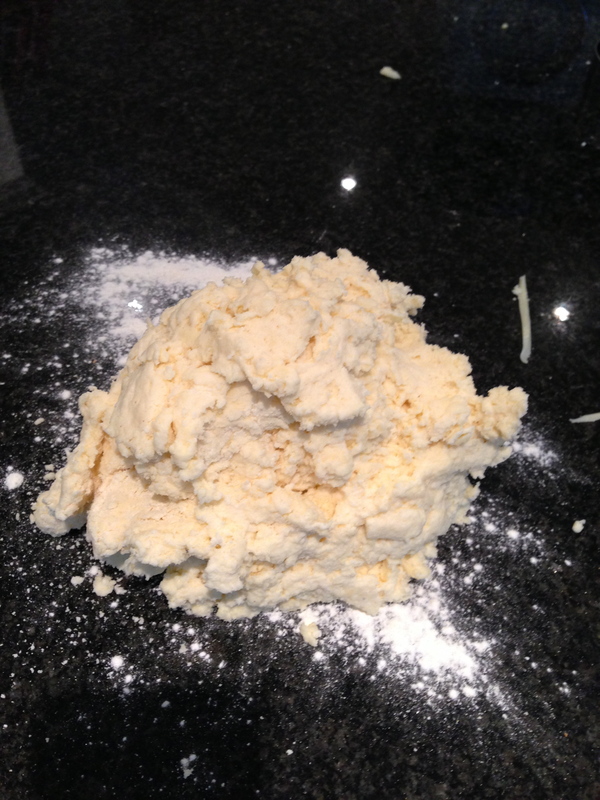 The dough will be sticky, handle as little as possible. 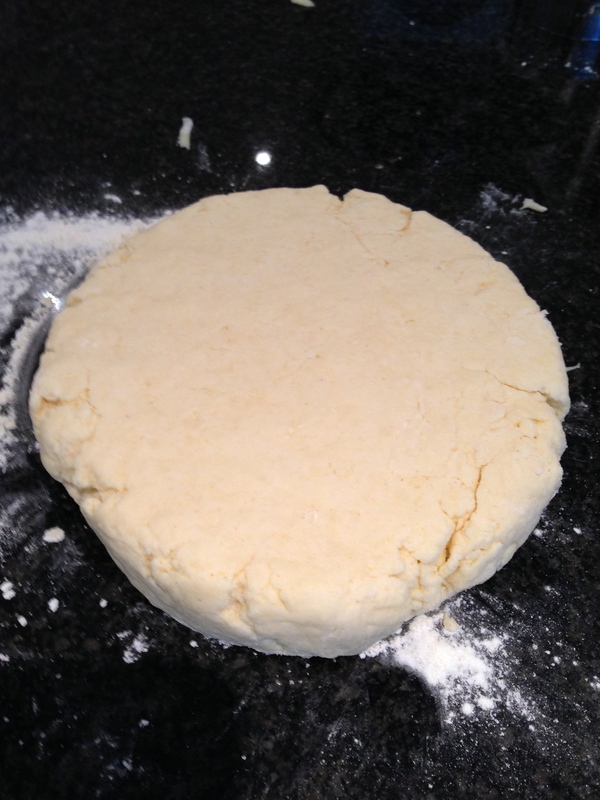 Put on floured surface and form into a ball. Pat down lightly or roll out. I find patting with palm works fine. 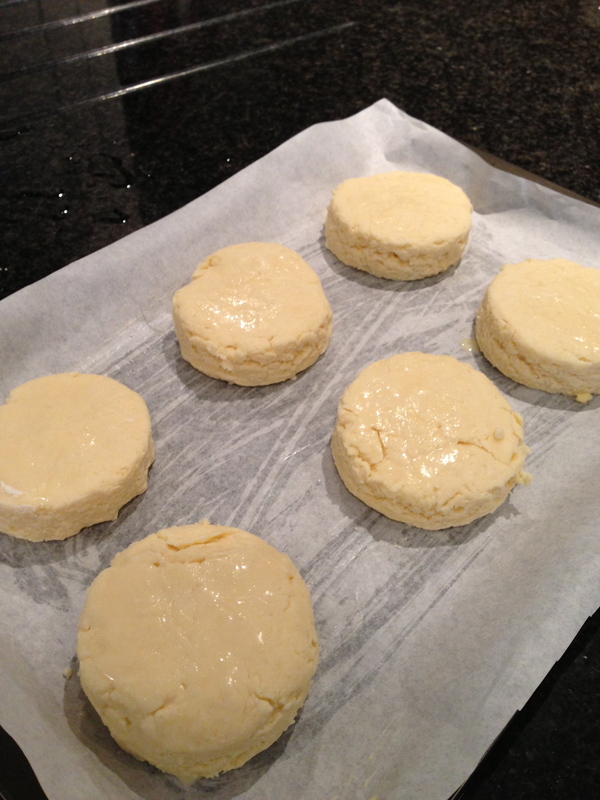 Use a cutter to cut out 6 large or 12 small cheese scones. 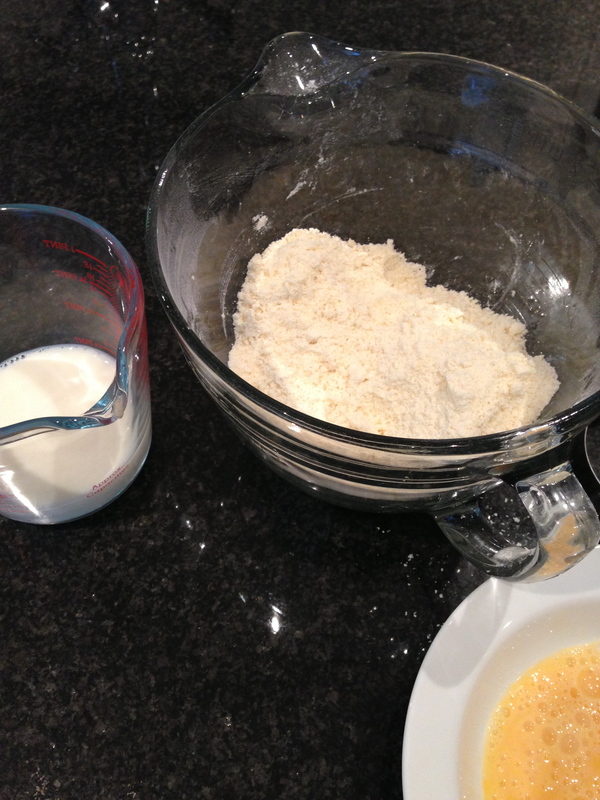 brush just the tops with egg or milk. Put in hot oven for 10 mins. After 10 minutes they should be smelling delicious and golden brown. cool on wire rack then enjoy with some butter. Gosh! These look fantastic! Beautiful photography! I have just tried to make these and I can’t seem to get them to rise like on your picture. Any ideas what I am doing wrong???? I made 7. Yes it was all new ingredients as my sister only got diagnosed 4 weeks ago. I am going to give them another go and see what happens. Hi! 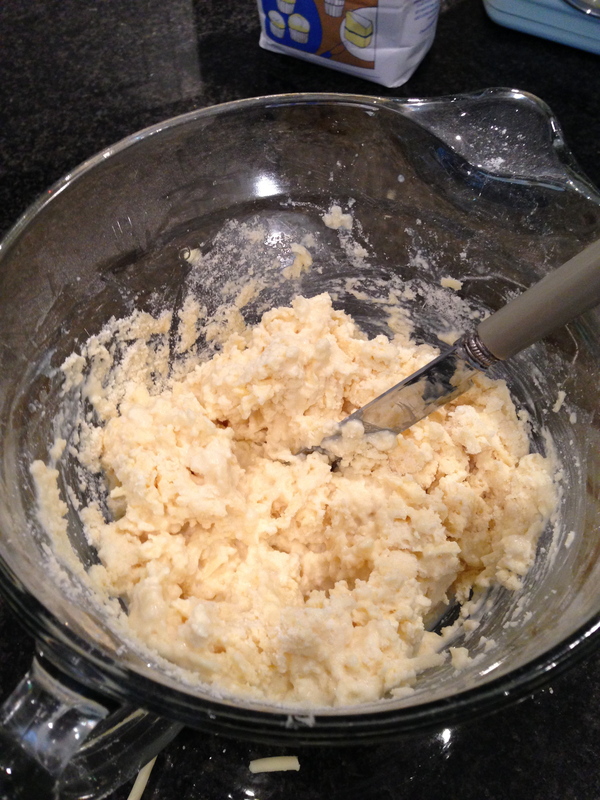 Do you use cold or room temp butter? Just made these for my friends- no one knew they were gluten free til I told them (which meant I could happily share the snack with them) and everyone loved them 😀 Thanks for posting this!! Really delicious, look gorgeous and my 4 year old made them mostly! We made them into Valentine’s hearts but made 12 from this one batch. She handled them vigorously despite me saying not too and they all rose the beautifully! 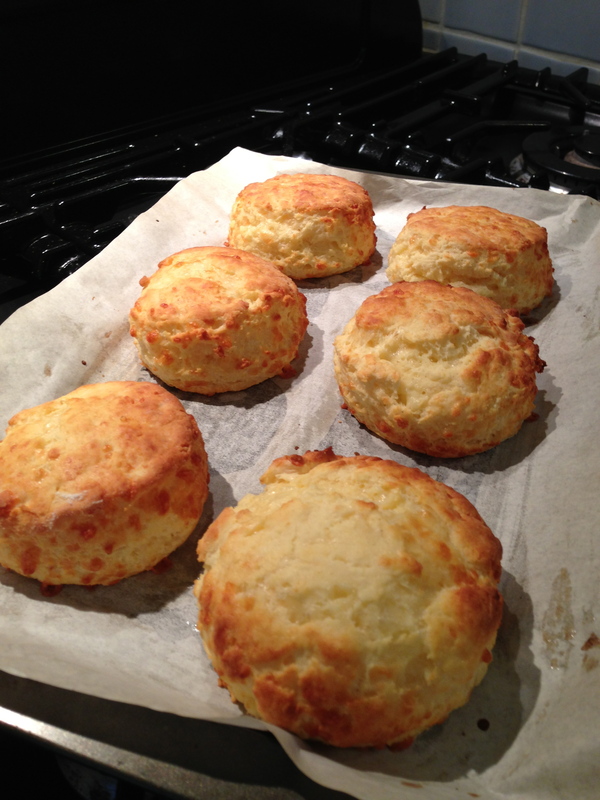 Ive just made these – they’re really yummy! Are they freezable?